This fascinating comparative study presents the latest research into the value of qualifications for the attainment of first job, and in securing employment. A team of some of the world's leading scholars in the field examine the ways in which educational qualifications affect the occupational outcomes of men and women in t thirteen countries. The book features chapters on each of these countries, together with a lead chapter which integrates them, and analyses them comparatively. 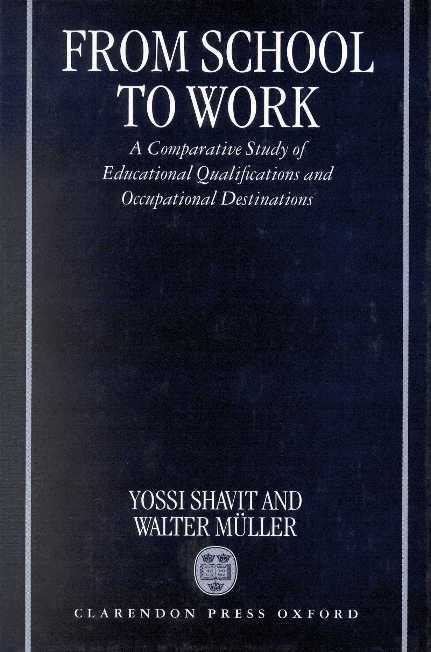 The authors present a wealth of rich and detailed information on educational institutions in these various countries, as well as reports on rigorous statistical analyses of the associations between qualifications and occupations. The data reveals marked differences between countries in how education shapes occupational attainment, and indicates that these differences are related, in very systematic ways, to the institutional characteristics of school systems. The book offers a range of insightful policy-oriented observations, for example that vocational education is valuable in countries where training is occupationally specific, but is of little value where the curricula are general in content. The transition from school to work in Switzerland: do characteristics of the educational system and class barriers matter?